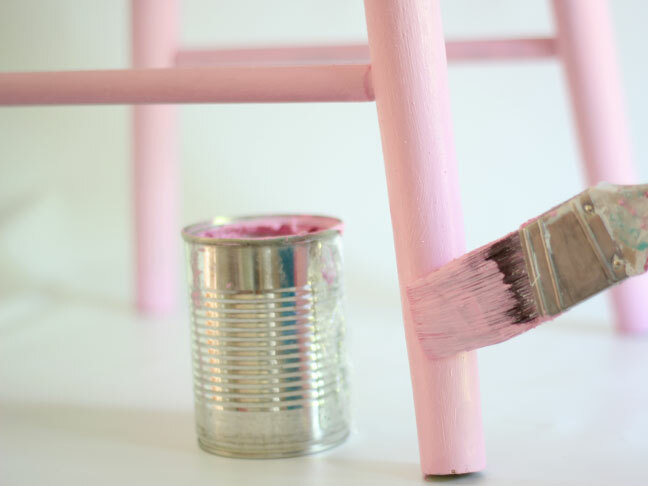 Chalk “style” Paint is not chalkboard paint, but paint that makes transforming furniture easy as it needs no surface prep and dries to a chalk-like finish. A coat of paste wax after the paint is dry brings out the color and character. 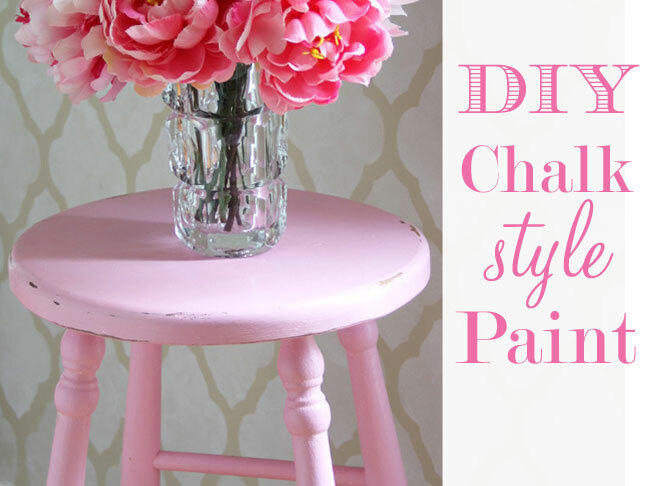 There is a brand name of Chalk Paint – Annie Sloan Chalk Paint that is quite popular. She has beautiful colors, waxes, and brushes in her line, but they are a bit pricey. I had been seeing a lot of DIY Chalk “style” Paint recipes on Pinterest and decided to give one a try. I have to say I am sold. I have painted a lot of furniture in my life, worked with glazes and aging techniques, but this paint gave me the look I wanted in a few easy steps. 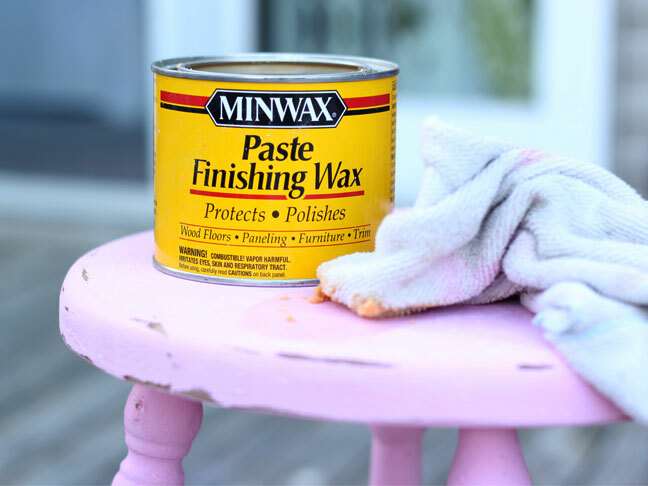 If you have a hand-me-down or a garage sale find that is waiting for a makeover, you may want to consider trying out this paint. 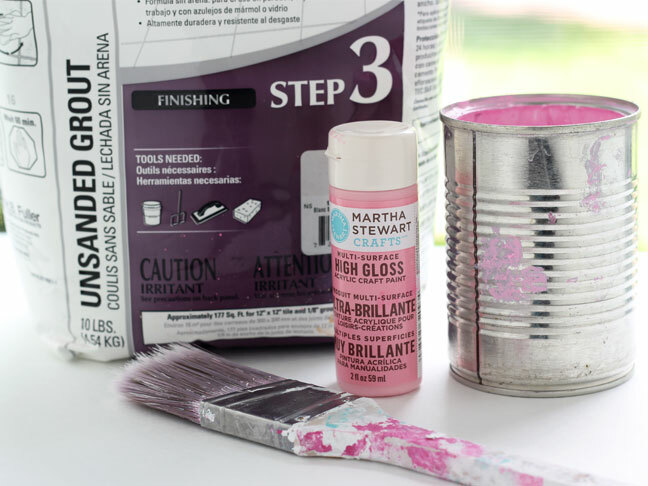 The recipe I used to make my DIY style version of Chalk Paint. Some recipes use Plaster of Paris, but I used the Non-Sanded grout recipe. Mix together well and add water as needed to get a smooth consistency. It will be a bit thicker then regular paint. I mixed my paint in a tin can. I used craft paint in high gloss, but you can use any latex paint flat or glossy. I cleaned the dust off of the stool, but no other surface prep is needed. I brushed on one coat and let it dry and then added one more coat and let that dry. I wanted the stool to look aged, so I used a sanding block with medium grit sandpaper to distress the edges. 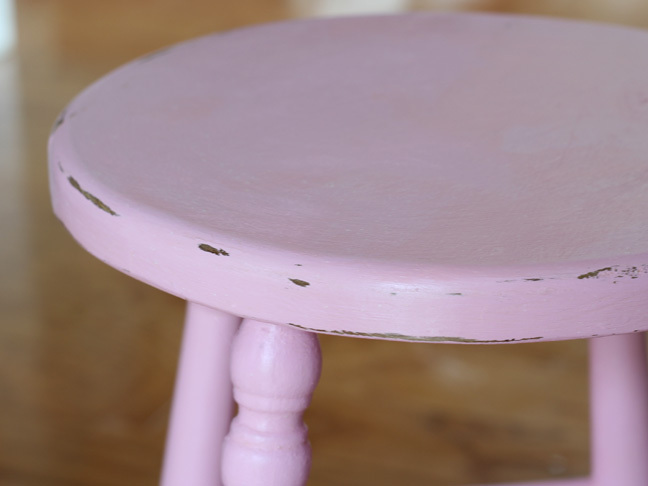 Chalk Paint ages beautifully. I cleaned off the dust with a damp rag. Annie Sloan makes a clear soft wax that I have read it just dreamy to work with. I decided to try Minwax because it is cheaper and found at any hardware store. 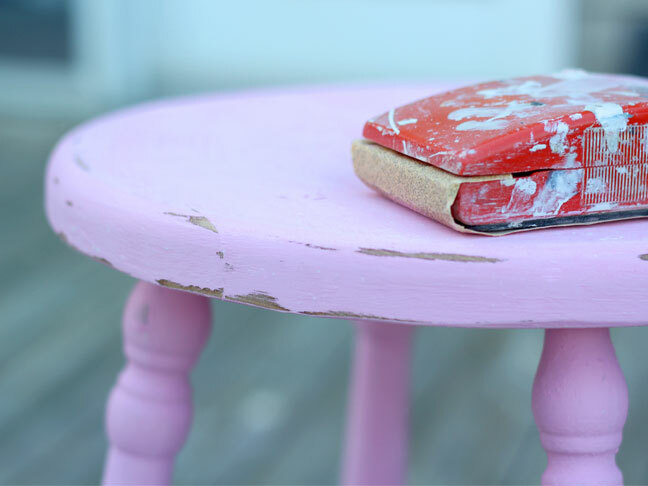 The Annie Sloan line can only be bought at a few specialty paint suppliers and online. Apply a thin layer of wax with a soft cloth over the entire piece and let it dry over night. Onceit is dry, use a clean soft cloth to buff the surface until the rag glides smoothly over the surface. Minwax worked fine, but it does leave an orange reside on rough patches that needs to be buffed heavily to remove. I would recommend getting the Clear Soft Wax from one of the suppliers of the Annie Sloan line especially if you are going to use light paint colors. 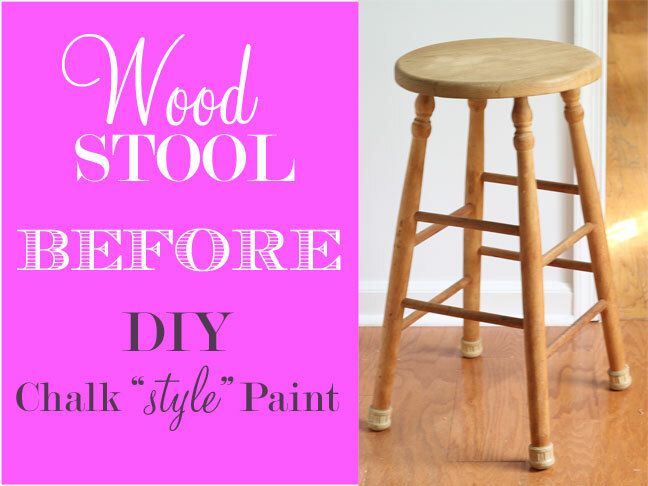 You can see the polished glow the wax coat gives the painted wood surface I am thrilled with how the stool came out. One of the best things about using Chalk “style” Paint is that if you don’t like the color- you can simply paint over the surface wax and all – no prep needed. The sanding after you paint smooths everything out.